Madrigalia is not a very large choir, but it's an accomplished one, and its sound can easily fill a large space. That's exactly what it will be doing in three different local churches in a program called "Music for Large Spaces" this weekend: Pittsford's St. Louis Church; Church of the Incarnate Word, downtown; and Chili's St, Pius X Church. As is typical for Madrigalia, Music Director Cary Ratcliff has chosen a varied potential playlist that ranges from Gregorio Allegri to Annie Lennox. Whether ancient or modern, it is music designed to allow voices to resonate in grand, open spaces. 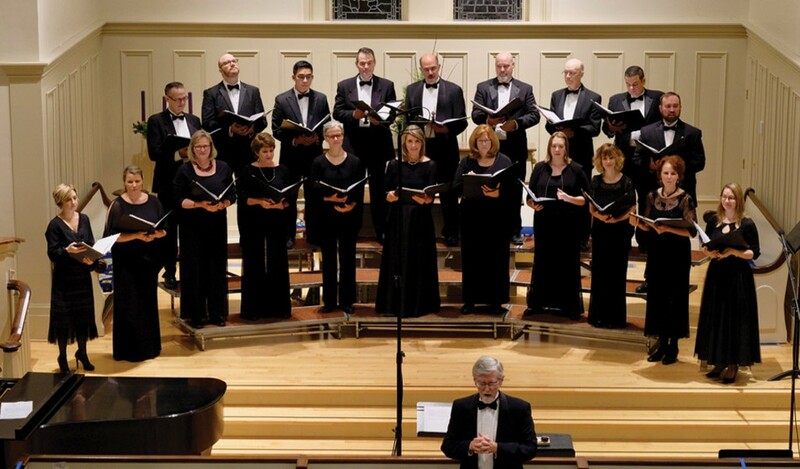 Madrigalia presents "Music for Large Spaces" on Friday, March 8, 7:30 p.m. at St. Louis Church, 64 South Main Street in Pittsford; Saturday, March 9, 7:30 p.m. at Church of the Incarnate Word, 597 East Avenue; and Sunday, March 10, 4 p.m. at St, Pius X Church, 3010 Chili Avenue. $5-$18. madrigalia.org.